These are all the Blogs posted in April, 2016. 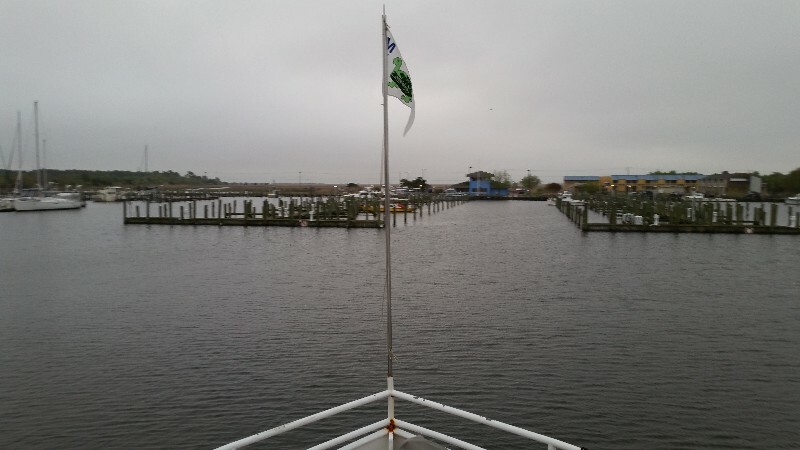 We departed from Crisfield this morning at 0630 with a forecast of E winds 5-10 knots and 1 foot seas. 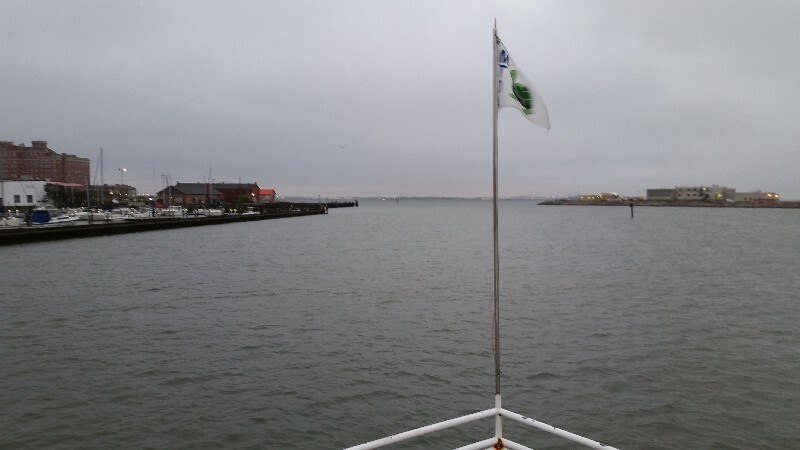 It was a little rougher than that early in the morning as we left the Little Annemessex River and turned in to Tangier Sound. Winds still appeared to be NE and blowing at 15-20 knots. It was not as rough as yesterday but for the first couple of hours it was rougher than anticipated. It calmed down when we reached Deal Island and turned into Hooper Strait to go back in the Chesapeake Bay… winds switched to E and under 10 knots with seas less than 1 foot. VERY NICE! Tons of boat traffic today… not cruisers per say but fishermen trolling with those trolling drones or whatever they are called… they look like toy boats out to each side of their boats and they don’t seem to mind crossing right in front of you… no controversy with any of them but still very annoying to have to deal with them. 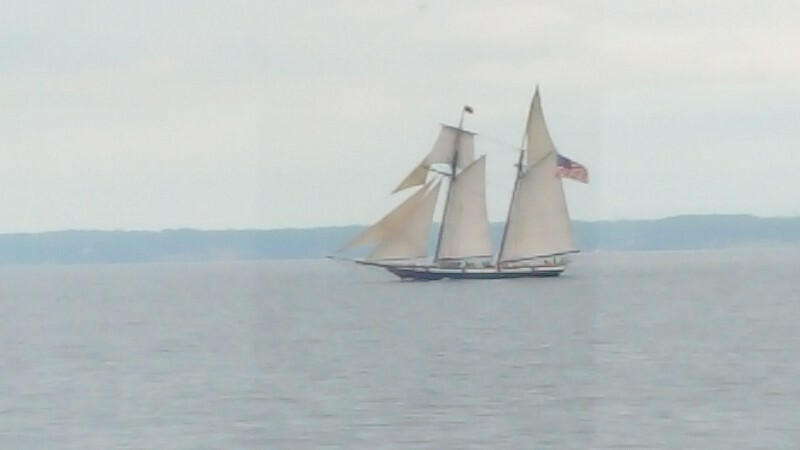 We did have two really cool sailboats pass us heading south… both were identical and under full sail… very beautiful boats. And the coolest thing to us at least was seeing “MI-T-MO” pass by heading south. 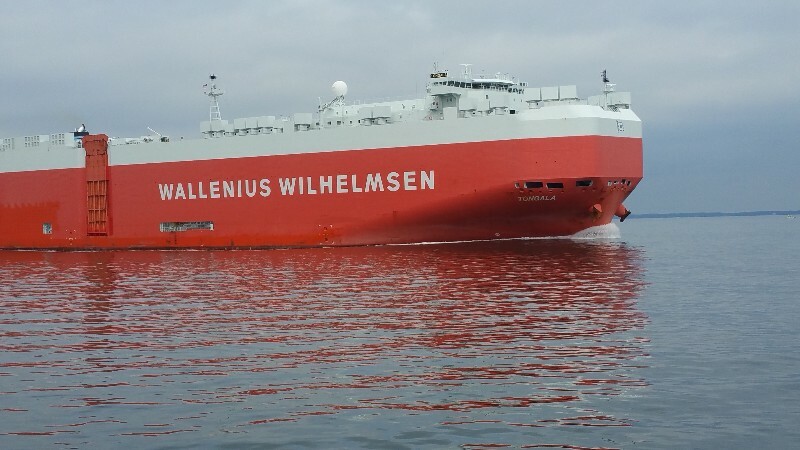 We have covered a lot of miles cruising with her and her previous owner Mike Efford. He sold he last year and down-sized to a smaller trawler. But is was really cool to see the new owner is using her. The bay as usual had a several large ships moving north and south… one large ship did pass us fairly close… they are massive and are really moving fast for their size. 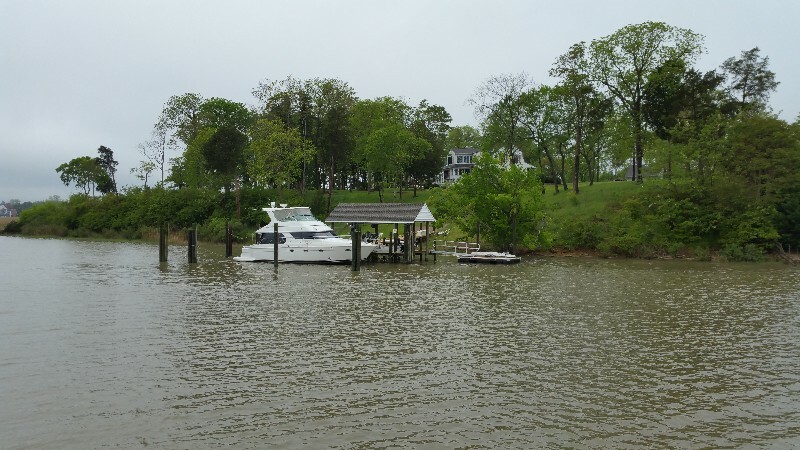 Our planned destination for the day was Galesville, MD. We have gone there many times and docked at the town dock. As we were approaching Galesville we decided we would rather anchor out tonight. We have really been enjoying being on the hook. We decided to anchor in the Rhode River… it’s in the general area of Galesville but actually closet city is Edgewater, MD. We arrived and anchored at 1700 for the night at N38°52.573', W076°31.422'. We traveled today for 10 hours and 30 minutes covering 75.6 nautical miles averaging 7.2 knots. We spent an uneventful evening on the hook in Hampton...Susan said it stormed... pouring down rain with thunder and lightning.... never heard it... I slept right through it... woke to alarm at 0530 to get an early start today with destination planned as Crisfield, MD. Anchor up and underway at 0630. It was forecast for NNE winds 10-15 knots with 1-2 seas... of course it turned out being much worse... Winds were NE and a little over 20 knots steady... seas were more like 3-4 and very close together and we were heading directly into them... this makes for a very bumpy ride... and there were always that 4th set of waves that is much larger... Susan and Lily were not happy to say the least. It was also raining on an doff all day... just a real YUKKY DAY! Our boat traffic is way down now... the majority of it stopping in Norfolk for the upcoming AGLCA Rendezvous in the first week of May... everyone we had met along the way was headed to it. 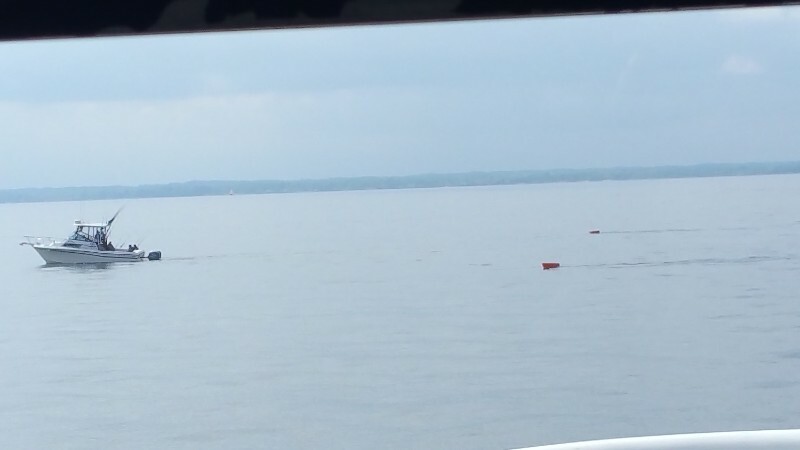 We only saw one sportfish going north, a tug and barge heading south and one large container ship heading south. It did calm down to the forecast of 1-2 seas about 1300 so the last portion of the trip to day was much nicer than the morning pounding. 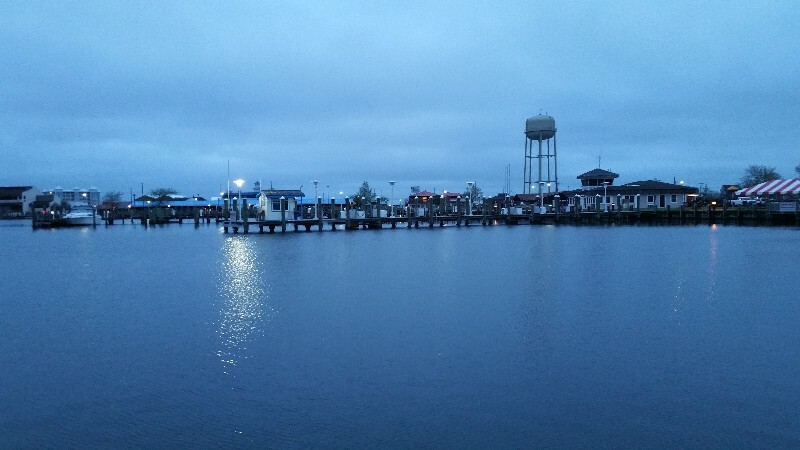 We arrived to our destination Somers Cove Marina in Crisfield, MD at 1700. Our location for the night is N37°58.642', W075°51.403'. We traveled today for 10 hours and 30 minutes covering 65.8 nautical miles averaging 6.3 knots. We had to wait for high tide to depart from Smithfield today... it was leave at 0330 in the morning or 1530 in the afternoon... with the number of crab pots we saw coming in we opted for 1530 departure... we actually left at 1445 as the wind was coming out of the ENE and appeared to be blowing the water into the Pagan River. We had no issues with depth going out as we did coming in a couple of days ago. We planned to go to the Hampton area and anchor which would give us a good starting point to head up the Chesapeake Bay tomorrow. 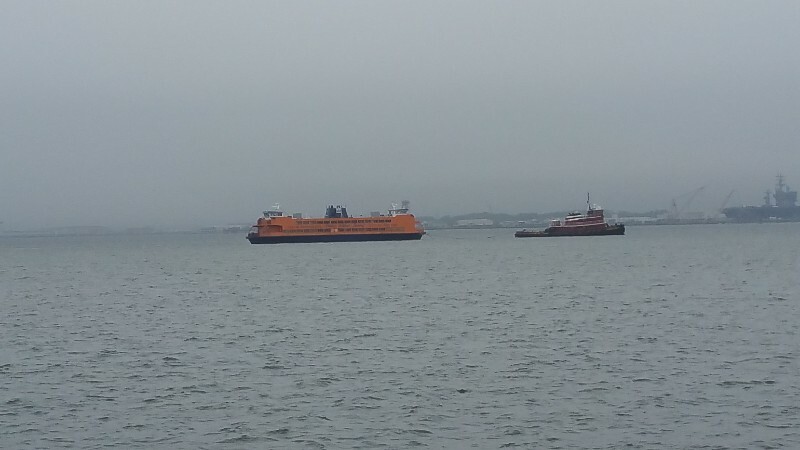 Did see something unexpected... a tug towing a Staten Island Ferry into Norfolk. 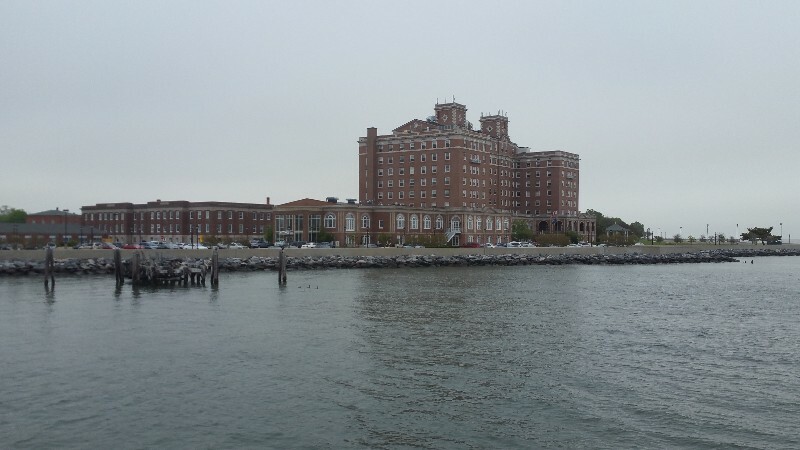 We arrived to our destination for the night at 1730 and dropped the anchor in Old Point Comfort near Fort Monroe at N37°00.542', W076°19.049'. We traveled today for 2 hours and 45 minutes covering 18.6 nautical miles averaging 6.8 knots.